We had a 3-day Gamejam at SYBO, and got coupled into 4-people team, and iterated on an idea we wanted to try. Worked on a physical battle puzzle game – think Angry Birds meets Clash Royale, but with Wizards and Pokemon-like familiars. Was a lot of fun. Here’s a gameplay video of it. Hopefully we can continue that someday. I’ve been teaching Game Design and Game Programming through the current semester, and it’s been going great. Teaching technical stuff to non-technical people is hard, but hard-work on the students’ part and passion for making games makes everything work. 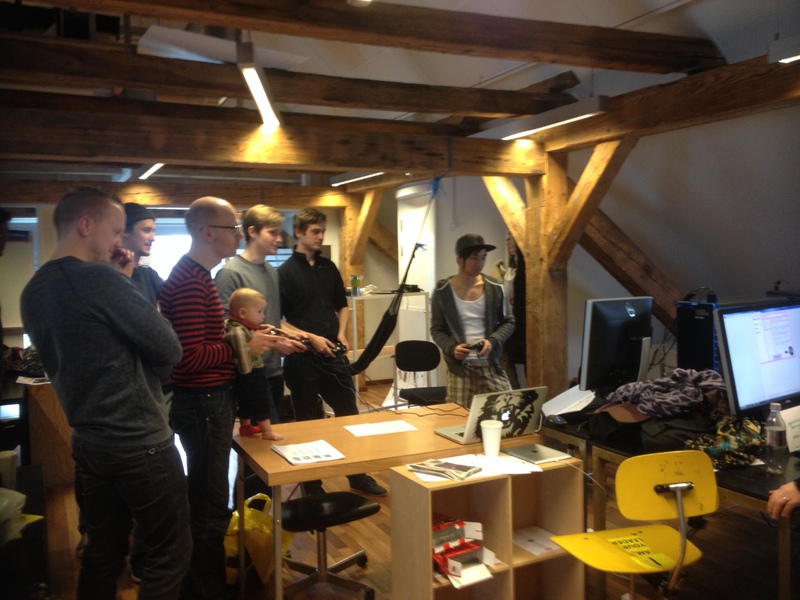 These are pictures from a small gamejam we had at the Design School, which produced 5 digital games and 2 analog games. Dig it! A Digger Simulator. I’ve been working at Cape Copenhagen for the past seven months, and the game we’ve been working on is finally being released! It’s a Digging Simulator, and I’ve been Game Designer throughout the project. Watch the trailer below! I have been working hard on my thesis, so I haven’t updated much. I’m working in trying to understand how games are structured in terms of loops and implicit sub-games, and work has proven to be quite revealing. Meanwhile, I’ve been working hard as a Game Designer at Cape Copenhagen. It’s a 6-month long internship while I develop my thesis, but it has been going well, working in the design of a simulation game. I am also in the midst of adapting a survival horror game, Out of Darkness: Rebirth, to the Oculus Rift. Me and the team have added every text, note and drawing to the real world, removing any layer of abstraction and allowing the player to explore and read the notes in the real world. We have divided the game into chapters, added new scares and hiding/chasing sequences. We will hopefully release the Oculus Demo in a couple of months. Round 2 of Epic Game Battles! On the last Thursday of April we held a Game Debate on Games for Purpose: How relevant they are, what they can teach us, how they have been doing. We had a Games Researcher and two Game Developers, covering three important aspects of games for purpose (Educational, Health and Art). It was quite successful, and there were lots of interesting points of view discussed. Board Game Jam = SUCCESS! 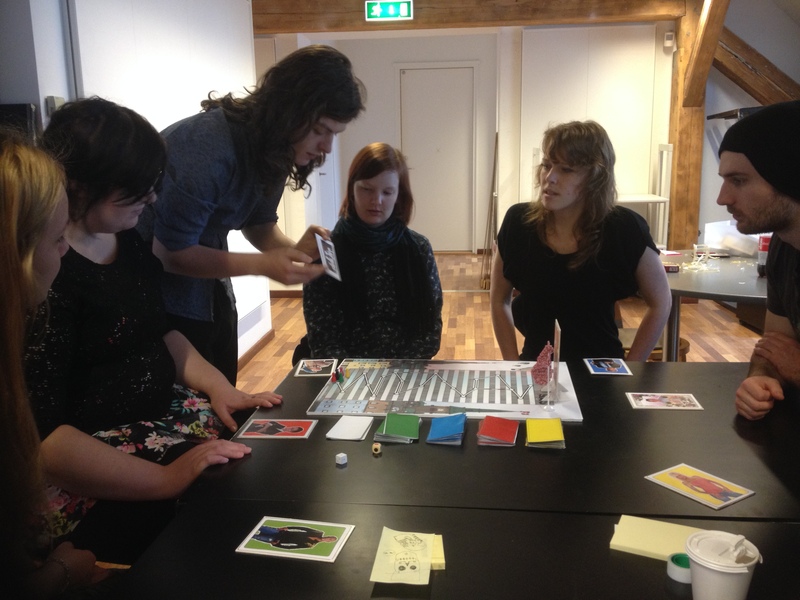 We have organized and successfully carried out a board game jam over last weekend. The event was small but four cool board games were created and prizes were handed out. 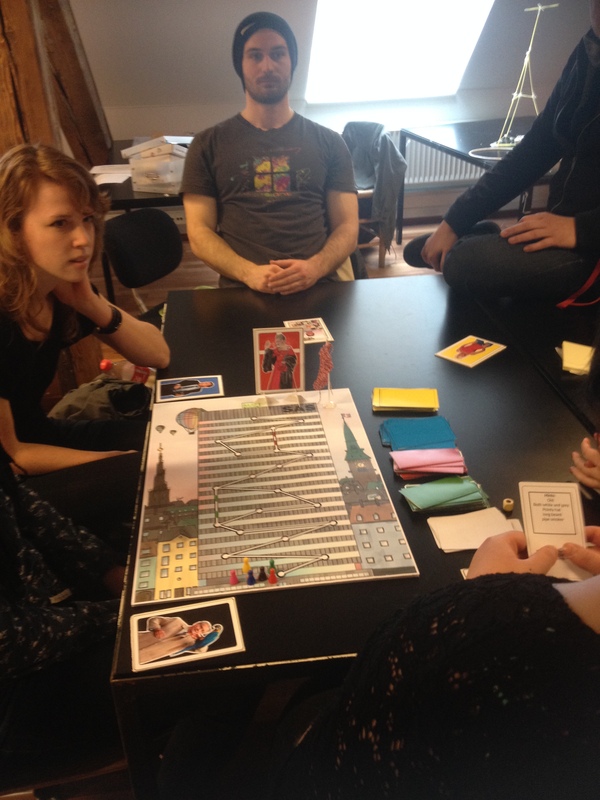 Global Game Jam CPH 2014 = Success! And so, the Global Game Jam CPH 2014 event comes to an end! And it was a success! 50 people signed up for it and we made games from Friday evening to Sunday afternoon. PlayIT has made this possible, so I’m thankful for everyone who has helped organizing this. We’re planning many more events for the next months, so stay tuned! I'm a game designer and developer from Uruguay with a passion for games. I'm determined to pour emotion into videogames and create emotional and fun gaming experiences. I'm currently living in Copenhagen and working in various independent titles.